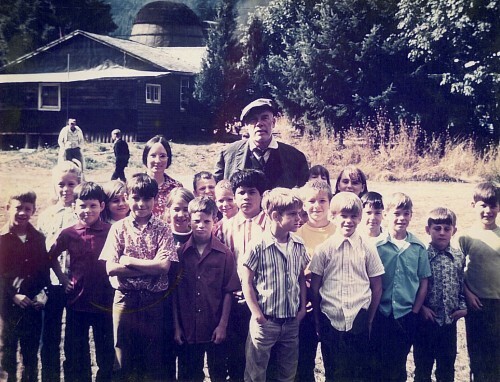 Lee Marvin showed up at Culp Creek School one day in 1972 to visit with the kids and play a game of ball. Lee was in town filming Emperor of the North with Ernest Borgnine. The story goes that one of the students was afraid that he would be in trouble for staying late after school, so Mr. Marvin walked him home and told the surprised mother that he was the reason her son was not home on time.